If you do not know anything about the culture and beliefs of American Indians, the Mystic Dreams slot free play can help you to widen your knowledge in this sphere. 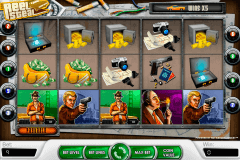 This is the Microgaming free slots video game with 5 reels and 243 ways to win. There is one bonus game with interesting features. The jackpot of the Mystic Dreams slot is 2 500 coins. 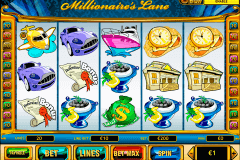 This wonderful slot with the first-class graphics and cool sound effects is available for gamblers among free online casino slot games with bonus rounds no download no registration. Its gameplay is very entertaining due to special symbols and bonus features. The image of the Wigwam and fire before it is the Wild symbol, which can substitute here for all symbols without exceptions. The role of the Scatter symbol in this game plays the Bird Idol image. Combinations of Scatters have generous payouts and, for example, for five of them you can get 1 500 coins. In addition to this, Scatters serve as activators of the bonus feature. When you get at least three of them, you will be able to play from 10 to 20 free spins. 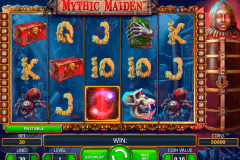 Mystic Dreams is the unusual free spins slot. During the free spins feature here all Wild symbols, which land on reels 2, 3 or 4 will have the 2x, 3x or 4x multiplier correspondingly. This means that all, who choose playing games from our Microgaming slots list or their real money versions at online casinos can win up to 720 000 coins in this feature. And last, but not the least. The highest paying symbol of this casino slot is the Indian icon. The theme of this slot appeals to many players and they enjoy it for free and even choose it among mobile slots for money. On the reels of the Mystic Dreams online game, you will see white buffaloes, wolves, eagles, wigwams, bird idols, Indians and A, K, Q, J,10 and 9 card symbols. If you’ve read our Royal Vegas review, then you know that it provides a wide portfolio of casino games from world-known casino software suppliers. Become the visitor of this or other reliable online casinos in New Zealand, where you can enjoy the Mystic Dreams Microgaming slot at 100%.